European powers have warned Venezuelan President Nicolás Maduro that he must call elections within eight days or they will officially recognise the opposition's claim of leadership. 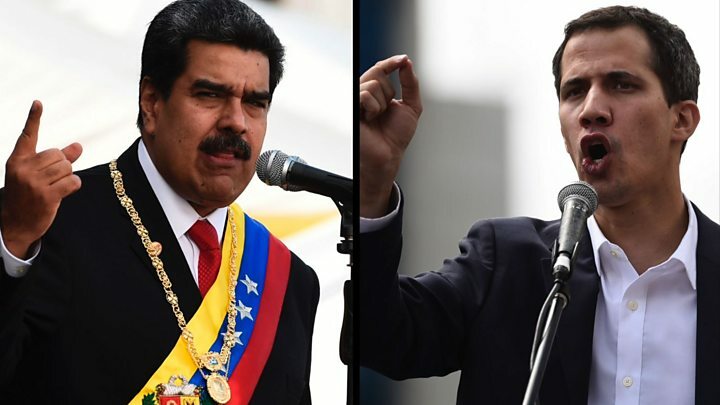 Mr Maduro is under pressure after his rival Juan Guaidó declared himself "acting president" on Wednesday. Foreign Minister Jorge Arreaza told members of the UN Security Council in New York that Mr Maduro's presidency was legitimate, and the country would not be pressured into calling elections. "Nobody is going to give us deadlines or tell us if there are elections or not," he said. On Saturday, permanent Security Council members France and the UK joined Germany, Spain and other European nations in what looked like a co-ordinated demand that elections be called in Venezuela within eight days. An EU statement was more cautious, seeking fresh elections or the bloc would take "further actions, including on the issue of recognition of the country's leadership". Speaking on behalf of the EU, UK Foreign Office Minister Sir Alan Duncan said Venezuela needed a government "that truly represents the will of the Venezuelan people". Russia, a UN Security Council member, has said foreign support for Mr Guaidó violates international law and is a "direct path to bloodshed". China, Mexico and Turkey have also publicly backed Mr Maduro. Also on Saturday, Venezuela's defence attache in Washington, Col José Luis Silva, said he now recognised Mr Guaidó as interim leader and that fresh elections were needed. 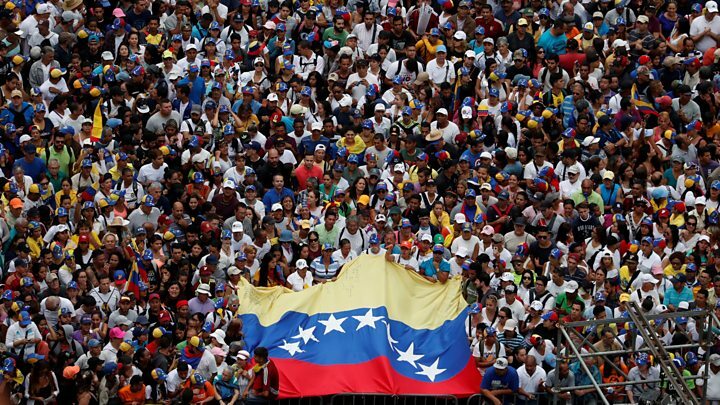 But Russia's UN ambassador, Vassily Nebenzia, accused Washington of plotting a coup against Mr Maduro. He said the council was not established to "support regime change" and called for further dialogue to "find a way forward". China's representative to the UN, Ma Zhaoxu, said that while his country was committed to the "purposes and principles" of the council, the situation in Venezuela "does not constitute a threat to national security" and China "does not interfere in other countries' internal affairs". So, it's the US versus Russia again at the UN - this time over Venezuela. The old Cold War adversaries are sparring once more. New subject. Predictable game. It's more or less "my enemy's enemy must be my friend". Tens of thousands have held protests over Venezuela's economic crisis - including an annual inflation rate that the opposition says reached 1,300,000% last year.